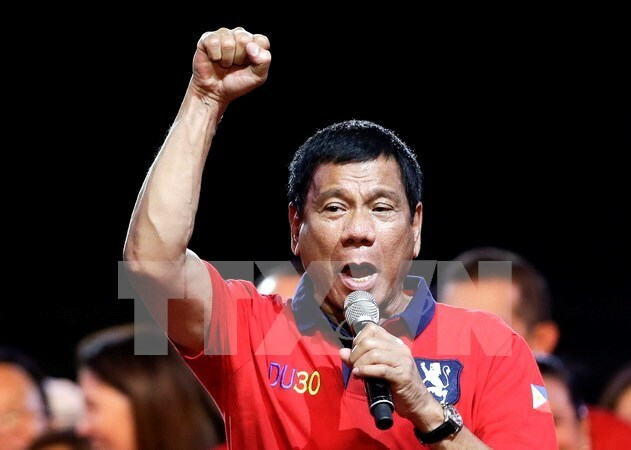 Hanoi (VNA) –Unofficial counts showed that Rodrigo Duterte, Mayor of the Philippine southern city of Davao, has won the country’s presidential election. With 37 million votes counted by early May 10, Duterte secured 14.4 million votes. His nearest rival, former Interior Minister Manuel Mar Rosas had 8.6 million votes meanwhile Senator Grace Poe had only 8.1 million votes. It is estimated that about 4 million votes were yet to be counted. During the campaign, Duterte pledged to kill criminals and wipe out corruption if he won.